Samsung UN65KS9000 vs UN65JS9000 : Which 65-Inch 4K LED TV Model to Choose? Posted on Sunday, August 28th, 2016. - Filed under 65-Inch. Maybe UN65KS9000 and UN65JS9000 are two models from Samsung that you consider when you are looking for 65-Inch Smart 4K UHD TV for your home. They indeed come from different lineup year, UN65KS9000 from Samsung’s 2016 lineup while Samsung UN65JS9000 was introduced in 2015 lineup. We can easily notice them as the newer-older model although It’s not perfectly successor-predecessor since They come with different panel design. Which of them is the model to choose? This article will try to help you answer that question. Samsung UN65KS9000 is introduced as part of Samsung KS9000 model. KS9000 model is the top model for Samsung’s 2016 Flat Panel SUHD TV that also means It’s the top model for 2016 Flat panel LED TV. 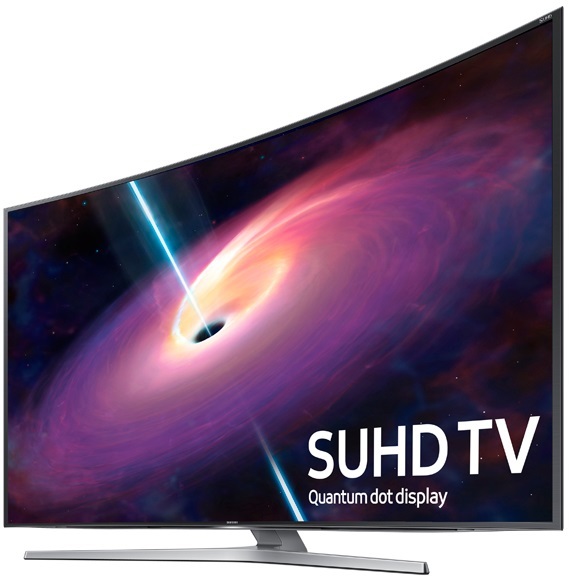 Samsung UN65KS9000 comes with quantum dot color as its color technology as It comes as part of Samsung’s 2016 SUHD TV series. Quantum dot color is able to bring true-to-life color details on the LED screen. Samsung UN65KS9000 is also completed with peak illuminator pro that bring greater details on the bright part of the screen and precision black that bring deeper black level on the dark part of the screen. The combination between those two technology deliver more vibrant contrast on the TV screen. HDR 1000 is the new HDR technology that installed on Samsung UN65KS9000. With HDR 1000, you can experience better High Dynamic Range (HDR) content details and dynamic brightness on the TV screen. The Smart TV platform that you can find on Samsung UN65KS9000 is 2016 Samsung Smart TV. It’s still based on Tizen OS like 2015 Samsung Smart TV. Tizen OS is able to run various Tizen Apps while doing its main job to deliver premium contents for the viewers. Smart Remote is also included with Samsung UN65KS9000 to make controlling works easier. Samsung UN65JS9000 comes as part of JS9000 model. Samsung JS9000 is the model that comes as the second tier curved 4K UHD TV below Samsung JS9500. With its curved screen, you can enjoy panoramic watching experience on this TV screen. Samsung UN65JS9000 is part of Samsung’s 2015 SUHD TV Series so It comes with Nano Crystal Color as its color technology. Nano Crystal Color is able to deliver accurate color details on the TV screen. As the dimming technology, Samsung UN65JS9000 comes with UHD Dimming that combined with UHD Upscaling technology. UHD Dimming bring brilliant picture quality from both original 4K content sources or HD contents that upscaled into near 4K picture quality with UHD Upscaling. Peak Illuminator Pro and precision black is also installed on Samsung UN65JS9000 to deliver vibrant contrast on its TV screen. If you love to watch 3D entertainment, you can find Active 3D feature on Samsung UN65JS9000. The Smart TV Platform of Samsung UN65JS9000 is the 2015 Samsung Smart TV that powered by Tizen OS. The Smart TV platform is able to bring premium entertainments and have the ability to run Tizen apps on its screen. Octa-core processor that installed on Samsung UN65JS9000 help the TV to run your heavier apps and multi-tasking process faster with no processing lag. I’m sure that you are interested to know more about the specs of Samsung UN65KS9000 and UN65JS9000 before We talk about comparison between those two TVs. Let’s take a look at the specs of those two TVs using the comparison table format below. We have looked at the specs of Samsung UN65KS9000 and UN65JS9000 and find similarities and few differences between them. Now We can talk more about the comparison between those two TVs in details. Samsung UN65KS9000 and UN65JS9000 come with the same LED Backlight. Although We have OLED as the new options for display technology, but LED is still the popular one since It’s more affordable in price than OLED panel. Samsung UN65KS9000 and UN65JS9000 come with different panel design. Samsung UN65KS9000 comes with flat panel design, while Samsung UN65JS9000 comes with curved panel design. With curved panel design, you can enjoy panoramic watching experience while flat panel design only can deliver conventional flat panel watching experience. But We also have to note that a lot of customers still prefer flat panel than curved panel. As their main dimming technology, Samsung UN6KS9000 and UN65JS9000 come with UHD Dimming. UHD Dimming deliver accurate details from original 4K content sources. It also can deliver brilliant picture from HD sources with the help of UHD Upscaling that upscale non 4K content into near 4K picture quality. Both of Samsung UN65KS9000 and UN65JS9000 come with peak illuminator pro and precision black technology. Peak Illuminator Pro is able to deliver greater details on the bright part of the screen, while precision black deliver deep black level on the dark part of the screen. Combination of peak illuminator pro and precision black technology is able to deliver more vibrant contrast on the TV screen. Samsung still measure its LED refresh rate quality with Motion Rate term. Samsung UN65KS9000 and UN65JS9000 are both installed with Motion Rate 240. Motion Rate 240 is still the highest Motion Rate used by Samsung besides the new Supreme MR 240 that introduced this year. Motion Rate 240 is able to deliver smooth fast motion images when you use the TV to watch your favorite action movies and sports. It also can deliver your favorite action gaming scenes without any motion lag when you use the TV as your gaming monitor. The smart TV platform that used by Samsung UN65KS9000 and UN65JS9000 is the same Tizen based OS. Although the version is different. Samsung UN65KS9000 comes with 2016 Samsung Smart TV, while Samsung UN65JS9000 comes with 2015 Samsung Smart TV. 2016 Samsung Smart TV comes with improvements so that It become more stable and user friendly. The remote control that used by those two TVs is also similar smart remote, but the new Samsung UN65KS9000 comes with the newer version (TM1680A) then the older Samsung UN65JS9000 that used the older version (TM1560B). Do you enjoy to watch 3D entertainment? Samsung UN65JS9000 is completed with Active 3D feature, while Samsung UN65KS9000 doesn’t come with any 3D feature. With Active 3D, you can enjoy both 3D or 2D entertainment with Samsung UN65JS9000. But you don’t have to worry about Samsung UN65KS9000 as with the latest technology development, you can enjoy 3D alike picture quality on it. The speaker system that installed on Samsung UN65KS9000 and UN65JS9000 are almost similar. Samsung UN65KS9000 comes with 4.1Ch 60W speaker system, while Samsung UN65JS9000 is attached with 4.2Ch 60W speaker system. There’s no significant difference between 4.1Ch 60W speaker system and 4.2Ch 60W speaker system, although you maybe sometime feel that 4.2Ch can deliver richer sound details than 4.1Ch speaker system. There’s no fixed price of Samsung UN65KS9000 and UN65JS9000. They are offered at different price by various retailers. Samsung UN65KS9000 is introduced at the lower price than Samsung UN65JS9000, while now you can also find that Samsung UN65JS9000 is offered at the less expensive price than Samsung UN65KS9000. Which 65-Inch 4K LED TV Model to Choose? 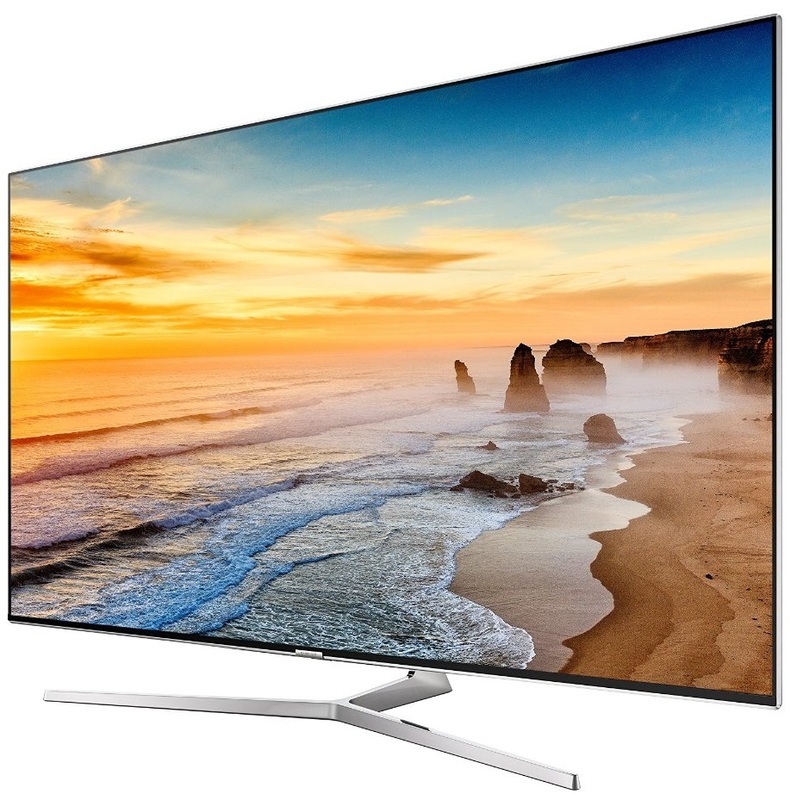 Related Post To Samsung UN65KS9000 vs UN65JS9000 : Which 65-Inch 4K LED TV Model to Choose? Samsung UN65MU9000 vs UN65MU8000 : Is There any Reason to Choose Samsung UN65MU9000? We can find Samsung UN65MU9000 (UN65MU9000FXZA) and UN65MU8000 (UN65MU8000FXZA) as two choices for 65-Inch Flat 4K UHD TV that We can consider from Samsung’s Premium UHD TV series. Samsung Premium UHD TV series is introduced by Samsung..
Samsung UN65KS8000 vs UN65KU7000 : Should You Choose the SUHD TV Model? In the middle price range, you can find UN65KS8000 and UN65KU7000 as the options for 65-Inch flat smart 4K UHD TV from Samsung’s 2016 TV lineup. Samsung UN65KS8000 is the basic 65-Inch flat SUHD TV model, while..
Samsung UN65JS9500 vs UN65JS9000 : Are There any Significant Differences? When you are looking for the best picture quality in 65-Inch screen, then for sure Samsung UN65JS9500 and Samsung UN65JS9000 are two 4K UHD TVs that you must take a look in 2015 TV lineup. Samsung UN65JS9500 is..
Samsung UN65JS8500 vs Sony XBR65X850C : Which Model is the Better Choice? When you are looking for the comparison between Samsung UN65JS8500 and Sony XBR65X850C, I guess You want to upgrade your entertainment screen into the new 65-Inch Smart TV with 4K UHD picture resolution. Samsung UN65JS8500 is positioned as the..